The Jacaranda tree is a beautiful and decorative tree that is native to South America. The tree has trumpet shaped flowers that bloom in the spring and summer. The flowers are clustered together in a cone shape and highly fragrant. Fruit appears soon after the blooms fall off but is not edible. The trees though beautiful are quite messy and leave lavender blue leaves everywhere. The flowers get on the grass, driveways, sidewalks, streets, cars. While I was here taking the picture, it was snowing purple flowers. The trees can grow about 50 ft tall and about 25 feet wide. They grow in warm climates as they do not bloom in cold weather. Streets lined with Jacarandas are beautiful. Kristin Hamilton DRE #01492138 Keller Williams Realty – I am a full time agent and deal in all types of real estate transactions. Trusts, Probate, Short Sales, Standard Listing, Single Family Homes, Apartments 1-4 units, Duplexes and Condos. I am also an experienced REO agent. I sell real estate in the Riverside, San Bernardino, Orange, and Los Angeles Counties. I am a trained and experienced Short Sale agent. If you are looking for a professional and experienced agent, I am just a click away. Google me at Kristin Hamilton-Real Estate Agent. Homeowners and Buyers both will find my services top notch and successful. Call me to sell your home; both traditional and short sales. California is a dream-come-true state no matter what your needs or wants are. We have year round warm weather, beautiful beaches, rustic mountains and desert communities. If you are looking for a home in Southern California, please contact me. 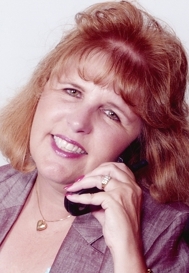 I am a local California Realtor, live in the Inland Empire community and am aware of the local market. I am here to help you find a home or to sell the home you currently own. California has great opportunities to view Nature and Bird Watching. Whatever your needs are, you will find it here in California! From the Inland Empire you are 45 minutes to the beaches, mountains or desert. Housing is affordable in the Inland Empire area! Those trees are just so beautiful! I wish we had some here in Texas they may good in this hot weather. I am going to see if I can find one somewhere to plant in my backyard... away from my cars! Everyone plants them here near the street so I think it is OK and when they drive away, the flowers blow off. I just read that on one of the web sites I was researching so probably good anywhere ***EXCEPT near a pool as it can clog the filter. Kristin, I LOVE the Purple Jacaranda Trees..and wish they would grow here in West Virginia...I wouldn't care about how messy but would enjoy the beauty for sure. Hi Kristin, We have several streets in San Diego lined with these trees and it is quite an amazing sight when they are all in bloom. Those are great looking trees but I've never seen one anywhere I've been. Guess they don't grow in Texas or Colorado. At least not the parts I've been in. I love big messy trees. We had several beautiful crape myrtles at our other home and they were messy but beautiful. They could survive the heat but not the cold but you have beautiful trees in the south too. Thanks for stopping by. I love to see them all in bloom as it is like a "Purple Haze". They are all in bloom all over the Inland Empire and they stand out as they are taller than the other trees. They grow in tropical areas and warm climates like California and Florida. Once you see one, you will never forget them. Hi Kristin, thanks for intoducing the Purple Jacaranda, it sounds like a beautiful tree, too bad it doesnt grow up in the colder climates. They are beautiful trees! I doubt that they would survive here in Georgia. Those beautiful trees remind me of the Bradford Pear Trees in TX. Same thing! They are big, beautiful in the spring; horrible to cut your grass because of the root system, they break easily in the wind and thunderstorms and talk about messy! Those trees would be beautiful in a park or fields but definitely something to think about when it comes to neighborhoods. The Bradford Pears do damage to our foundations too. Yes it is lovely but doesn't do well in the colder climates. But you can have apple trees and only in the mountains do they grow well as we don't have the ground freezing. I am jealous of that as I always wanted an apple tree. Yes Jacarandas do much better in the warmer climates. They do not like to be in the cold frigid weather as they not bloom the following spring. I just had 3 huge palm trees removed as the roots were undermining our block walls and could have caused our pool to crack soon. I have now gotten rid of all the big palms but still have 12 (3 in each corner of the lot) of the queen anne palms and they drop dates.....hate them. I would love a big billowy tree instead and I have never heard of a bradford pear. Very interesting. I have a peach, plum and apricot tree in the side yard and they are so nice. Thanks for stopping by. It is a sad fact that some of the more beautiful flowering trees can be messy. I also like Mimosa trees, but wouldn't plant one in my yard because of the mess they make. Yes the Mimosa trees are pretty and attract hummingbirds. I have a pool so I have to be careful what I buy and plant. I just got through removing 3 huge palm trees and one was over 40 ft high. No more palms. Love the look of Jacarandas though. I have a jacaranda and the purple flowers aren't even half the problem. The tiny leaves start dropping in November and fall thru spring. Around March the twigs start to fall as well. Once the leaves and twigs stop in May the flowers bloom. Those start falling in June. There are also large pods that fall in late summer early fall.The tree is great for shade, but it's messy 9 or 10 months a year. In the spring I fill a 3 gallon bucket daily with the leaves and twigs. Not recommended if you have a pool or water feature, over a dinning area, or over a path(you'd need to clear it every other day just to walk).